Healthy Food for kids: New Approach: Funny Fro! 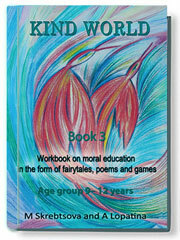 The Kind World Project consists of three books with carefully selected stories and tasks to stimulate positive thinking and improve morality. 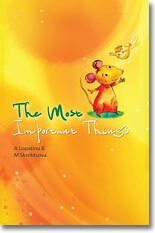 Each book covers 30 topics and is designed to hold regular sessions with groups of children. 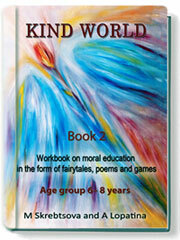 The Kind World books doesn’t require special training and can easily be used at home and school. I have a young daughter who my wife and I do our best with when it comes to making healthy food choices for her. There are a lot of unhealthy choices out there and even more bad influences teaching our children poor nutritional habits. There aren't enough positive resources available to help parents educate their children about how to make healthy food choices and why they should! To find a book like this one feels like a MIRACLE! This book brilliantly introduces fruits in fairy-tale like stories that holds my daughters attention the entire time (mine too!) And at the same time the author is giving my child an education on healthy eating through these entertaining stories, games and recipes. 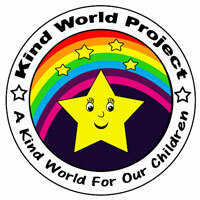 A highly recommended resource that every parent should have for raising children in today's unhealthy society. As a parent I was amazed at the pedagogy behind the books, one which I feel is lost in much of mainstream education here in the West because of all the 'bох ticking' that occurs. 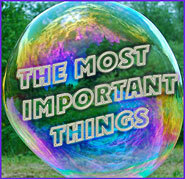 In editing this book I have been careful not to lose any of the wisdom inherent in the stories. 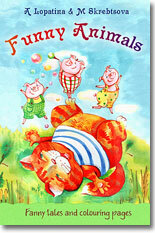 as well as absolutely delightful." our Unique Approach to Healthy Food. A Unique approach to education: introduce children to school subjects have never been so easy. 9. The Beginning of Wisdom and the Steps of Wisdom. Help to comprehend actively basics of language, art, maths etc. Safari South Africa tours Cape Town. on healthy food, moral education and nature. 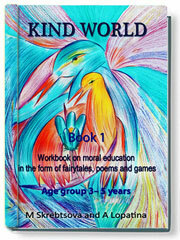 Stories for kids on moral education.